Aah, Another member included in the 7 inch-ers family. Yes, SmartQ, a chinese company, introduces its 7 inch tablet, SMARTQ X7 Tablet. It looks a lot like the Nexus 7, its just the display screen that's different. The tablet sports a capacitive ten points IPS touch screen which has a resolution of 1280 x 800 pixels. It is powered by a 1.5GHz TI OMAP 4470 Dual-core processor bundled up with 2 GB of RAM and 16 GB of onboard storage which can be expanded upto 32 GB via microSD Cards. It will feature the Android 4.1 OS. 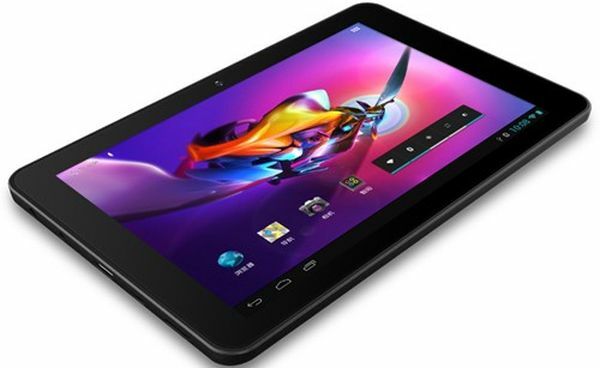 The connectivity features present are - the tablet is equipped with WiFi 802.11, Bluetooth 3.0 BLE+EDR and a Mini HDMI port. The tablet has 2 MP Cameras both at the rear and up the front. The X7 is capable of playing 1080P HD videos in various formats which include RMVB, MOV and MKV. The SmartQ X7 measures 9.5mm in depth and weighs around 335g. Under the hood, there is a 4200 mAh battery which gives power to the tablet. The SmartQ X7 is also claimed to be the “NEXUS KILLER”. In every aspect it indeed is one, except for the fact that it lacks the Nexus' display screen. But it indeed is quite impressive in terms of design too. The SmartQ X7 tablet is available in the market for $249. Let us see how does it go for the SmartQ X7 Tablet. 0 Respones to "Another 7 INCH TABLET OUT : SMARTQ X7 TABLET"